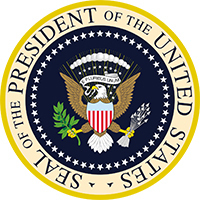 President Donald J. Trump’s fiscal year 2019 budget request for OSHA supports his continued efforts to assure safe and healthful jobs for the American people. OSHA’s FY 2019 budget request provides an increase of $6.1 million for 42 new Compliance Safety and Health Officers to continue the agency’s strong commitment to enforcement; and another $5.1 million for 24 Compliance Assistance Specialists and eight Voluntary Protection Programs staff to allow the agency to expand its training, outreach, compliance assistance, and cooperative programs. Onekey, LLC, was cited for exposing employees to crushing hazards after a concrete retaining wall collapsed at a Poughkeepsie, N.J., worksite. The collapse led to the death of a subcontractor’s employee, and injured another employee. OSHA inspectors determined that the retaining wall was not designed or approved by a registered engineer. The company was cited for failing to train employees to keep a safe distance from the wall and soil pile, and failing to provide adequate fall protection. OSHA proposed penalties totaling $281,583. Read the news release for more information. OSHA and Carthage Specialty Paperboard, Inc., have reached a settlement that will enhance the company’s efforts to prevent hazards associated with machine guarding, fall protection, hazardous energy control, confined space entry, emergency response, electrical hazards, and structural safety issues. Carthage will pay $175,000 in penalties for 62 safety and health violations. United Steel Workers and USW Local 276 signed the agreement as well. For more information, read the news release. OSHA cited Morganton Pressure Vessels, LLC, for exposing employees to fire, explosion, laceration, and struck-by hazards. An inspection of the company's Bay Minette, Ala., facility found 10 serious, and three other-than-serious violations. OSHA conducted the inspection as part of its National Emphasis Program for Combustible Dust and Regional Emphasis Program for Powered Industrial Trucks. Proposed penalties total $101,800. Read the news release for more information. OSHA cited First Source Worldwide, LLC, for failing to: provide fall protection, personal protective equipment, and machine guarding; develop a permit-required confined space program; control hazardous energy during equipment maintenance activities; and train forklift operators. The company faces proposed penalties totaling $256,088. Read the news release for more information. OSHA initiated an inspection of Pioneer Health Care Center after receiving two complaints of workplace violence. Inspectors found five documented incidents of employee injuries, and several more unreported incidents. The Rocky Ford-based nursing home was cited for failing to implement adequate measures to protect employees from workplace violence. OSHA proposed penalties of $9,054. For more information, read the news release. California OSHA issued $80,620 in penalties to A-1 Roof Management and Construction, Inc., in Novato for exposing workers to fall hazards from unprotected floor openings, and failing to install barriers near skylights. A worker suffered serious injuries after he fell 23 feet through a skylight. Inspectors issued three citations to the company. Virginia Occupational Safety and Health (VOSH) issued $48,400 in penalties to United Building Envelope Restoration in Manassas Park for exposing workers to fall hazards from unsafe scaffolding. 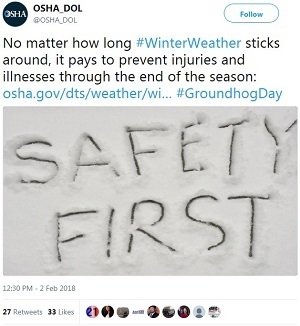 VOSH inspectors concluded that the company failed to inspect the scaffolding before every shift; positioned workers and building materials on light duty scaffolding in excess of the load limit; failed to install required guardrails and cross braces; and did not provide required fall protection. VOSH issued eight serious citations to the company. Rotating Equipment Repair (RER), a company in Sussex, Wis., that provides parts and services for high-energy pumps, reached out to OSHA's On-Site Consultation Program for help improving its safety and health program. After abating the hazards identified during the consultant's visits, the company continued to make improvements. As a result, RER was accepted into OSHA’s Safety and Health Achievement Recognition Program (SHARP). The company most recently renewed its SHARP status last year by maintaining an injury and illness rate below the national average for its industry. In fact, RER has had no recordable incidents of worker injuries in the last six years, leading to lower workers' compensation insurance premiums. For more information, see the company’s success story. The International Window Cleaning Association recently renewed a five-year agreement to provide training and resources to protect the safety and health of workers in the window cleaning industry. The Alliance will address hazards such as falls from heights, and slips, trips, and falls. Participants will also focus on the safe use of high-reach access equipment, including rope descent systems, ladders, and scaffolding. For more information, read the news release. The Board of Certified Safety Professionals signed a two-year agreement to provide BCSP certification holders and other safety practitioners with guidance to protect workers. BCSP will work with OSHA to help small and medium-sized employers identify areas where a safety and health professional’s expertise may be beneficial. The Alliance will contribute to workplace safety and health initiatives such as the Safe + Sound Campaign and the National Safety Stand-Down to Prevent Falls in Construction. The International Brotherhood of Electrical Workers Local Union #111 renewed a five-year agreement to focus on reducing and preventing exposure to electrical shock, arc flash, arc blast, electrocution, fall, ergonomic, and motor vehicle hazards. Want to demonstrate your commitment to safety and health? Talk with your most valuable resource: workers are familiar with the hazards they face each day, and can help identify and fix hazards before injuries or illnesses occur. 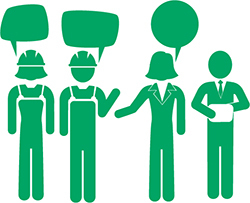 Speaking of Safety: Changing the Atmosphere Around Safety Conversations, an article from the National Safety Council, shows how to have effective safety and health conversations with workers. Listening and communication skills are crucial to building a foundation for safety leadership. To learn more, sign up for the Safe + Sound Campaign’s first live, free webinar hosted by CPWR: The Center for Construction Research and Training on Wednesday, Feb. 21 at 2 p.m. EST. OSHA will offer safety and health training classes to workers, employers, safety and health professionals, and anyone interested in learning about safety and health issues at next month’s annual Pacific Coast Safety Fest. The event is scheduled March 5-9 in the cities of San Diego, Los Angeles, Phoenix, Las Vegas, Honolulu, and the San Francisco Bay area. Presentations will cover such topics as the latest news from OSHA, recordkeeping, safety and health programs, and OSHA 10-hour courses for general industry. To get specific dates, agendas and to register, visit the Pacific Coast Safety Fest website. 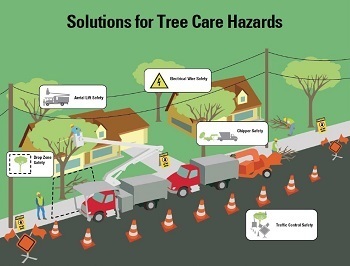 Falling tree limbs, moving vehicles, overhead power lines, and high noise levels are a few of the dangers professional tree care workers may encounter. OSHA’s new resource, Solutions for Tree Care Hazards, highlights common hazards in the tree care industry, and provides safety measures for employers and workers. OSHA is also publishing a revised fact sheet that summarizes the major requirements of the respirable crystalline silica standard for general industry and maritime.